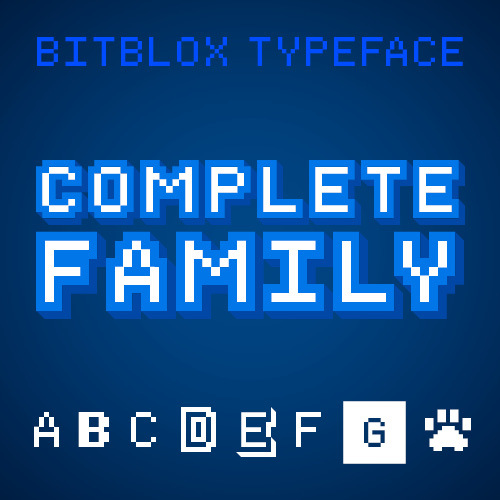 The Bitblox complete typeface contains 8 über-pixelated fonts. 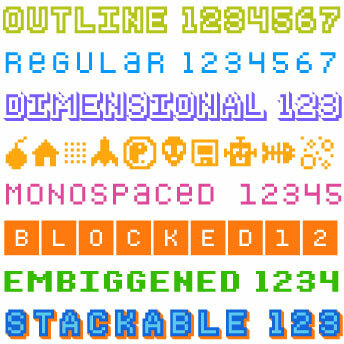 We originally created the these 8 fonts for our Bitblox alphabet blocks. 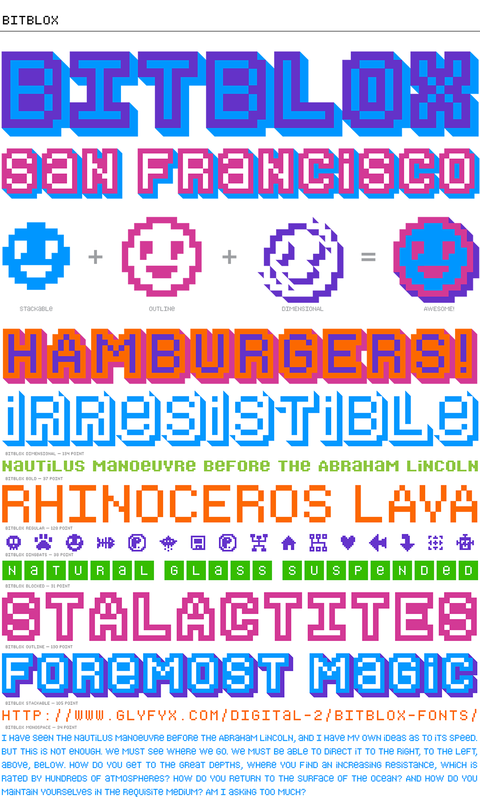 They were inspired by the low-res pixel lettering seen on the computer screens and in video games of yore. 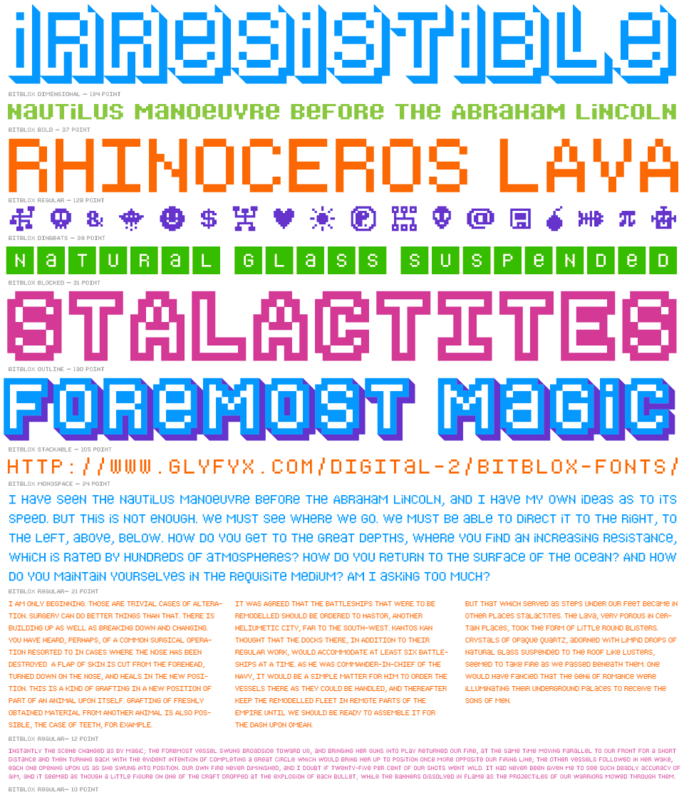 The fonts are guaranteed to induce flashbacks in anyone who’s been exposed to consoles / terminals / IBM / DOS / AS/400 graphics in the olden days. 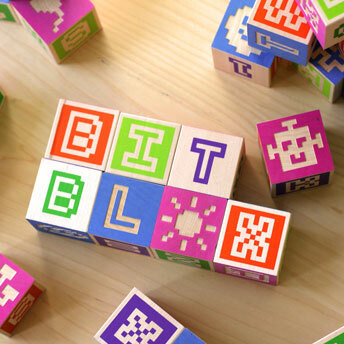 Great for both display and screen-work, but ultimately just plain-old fun to play with (much like our alphabet blocks). 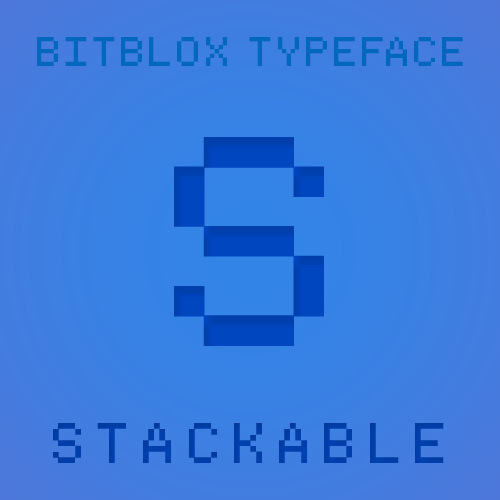 For more detailed information download the PDF specimen.